These boxes are fantastic! We found them to be well-constructed, high quality, easy to assemble and cost-effective. Our group used them for a Christmas Cookie Sale and they were perfect. They stack well since the structure is firm and therefore, could be assembled in advance and ready to go. I will purchase them again, without question. Best UsesBakery items, such as cookies, pies, cakes, and any other relatively dry item. These boxes are sturdy and well made. Perfect for boxing up 2-3 dozen of my decorated sugar cookies. 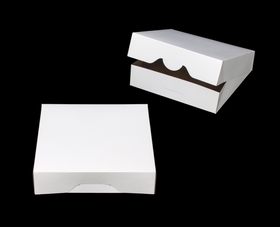 Great for regular deliveries or tie a ribbon around it and is a pretty gift box of goodies. Hi Alicia! LOVE your business name. We can do custom sizes, but the commitment is quite steep. The associated cost for developing an item in a custom size would include the cost of the development of a cutting die running between $800 and $1,200. 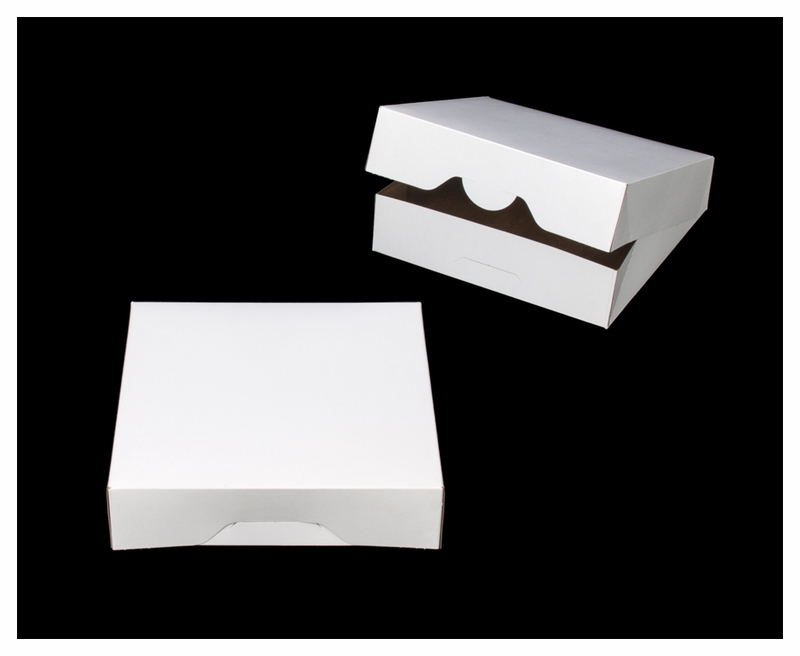 The minimum order requirement is for 10,000 individual cartons with payment due at the time of order. Product is shipped upon completion. The lead time would likely be between 6 to 10 weeks from the time a prototype sample is produced and approved and the shipment of the completed order. If this is something you are interested in, let me know :) In the meantime, I will add both of your requests to our Customer Request List. With enough interest it might be something we add to our stock program.